Above-left we have our back immediately to the site of Granville Street Station and are looking back along the trackbed to the short tunnels that pass under Bath Row/Bishopsgate Street to its connection with the West Suburban Railway line at what is now Five Ways Station (check out the page for Five Ways Station to see the remains of the junction and the page for Central Goods for further pictures) - unfortunately, information on this section of railway is scant and I cannot account for why there are two tunnels at this spot: if anyone knows, please tell me. 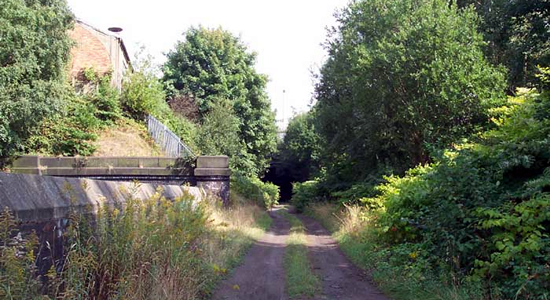 As I'm sure the reader will appreciate, after nearly 120 years since closure and 36 years since the trackbed to Central Goods was used, it is difficult to discern remains of the station site. 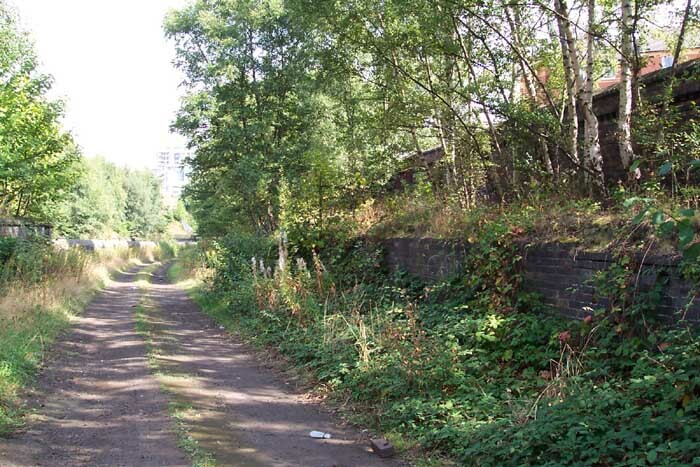 However, above-right we are in the same spot as the previous shot but looking towards the site of the station (the shot at the top of the page was taken looking in the same direction but just past the tree on the left-hand side) and there are remains of a structure on the right-hand side of the trackbed which drops in height to roughly platform level just ahead of this spot - whether or not this was anything to do with the station, however, unfortunately I could not say for certain. 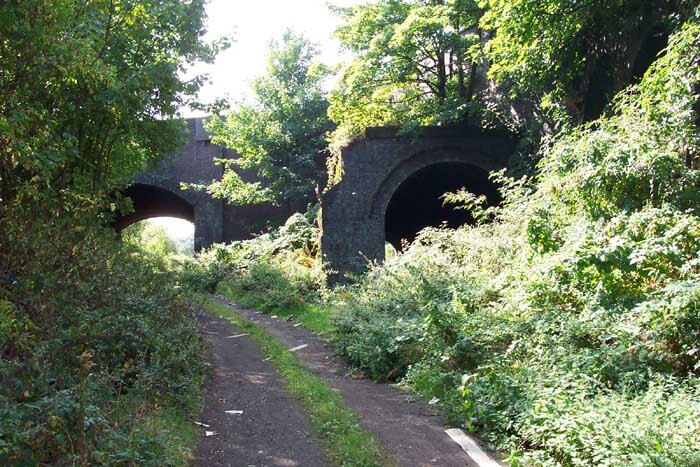 The old trackbed is certainly worth a visit but I must warn any potential visitors that it is a rather inaccessible spot!